Below is our list of films available for the 2011 festival. We are thrilled to present an extraordinary selection of films - many of which we are premiering at RFFF! These films are guaranteed to engage, entertain and educate kids and adults alike! Penguin Lament - Five For Fighting's charismatic front-man John Ondrasik stars in this moody and gorgeous music video, set in a stylized Antarctica of snow and shadows and WHAT? a lifeguard chair? A delicate and wistful song, beautifully sung, and an understated humorous quiddity, make up this short film. Philadelphia Chickens - Two pigs from Connecticut travel down Interstate 95 to go watch the renowned chickens swing-dancing in a park near the Schuylkill River. Wild and wooly. 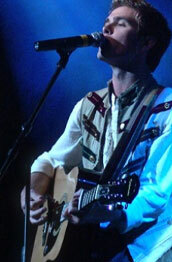 Or, rather: feathery. The original singers of the track, Kevin and Michael Bacon, make spiffy cameo appearances, including some fine glimpses of Kevin Bacon dancing beside some serious chickens. This animated award winning short, based on the modern classic book, has an amazing cast of impressive actors: Helena Bonham Carter, Rob Brydon, Robbie Coltrane, James Corden, John Hurt and Tom Wilkinson. It is a magical tale of a mouse who takes a stroll through the woods. Encountering three predators - a fox, an owl and a snake - the plucky mouse has to use his wits to survive. At the edge of society, a cow tips the balance of destiny with quite some impact. Ormie is a pig with a problem. Ormie likes cookies....if only he could reach them! Can anything stand in the way between a pig and his sweet obsession? Slap Back Jack begins when superstar baseball player, Bub Stocky, hits a walk off Grand Salami to win the big ball game for his team the Bronx Buffalo, but when he tries to celebrate with his teammates, he flubs his high fives, loses out on his lows, and punks out on his pounds. He feels embarrassed and clumsy, so his coach suggests he see the hand slap specialist, High-Five Master, Slap Back Jack. Heeding Coach’s advice, Bub makes the trip and Jack trains Bub in the art of high-five combo’s. Bub returns to play a double header with his team, and he hits another huge homer. He runs the bases as fast as he can, crosses home plate for a winning run, then Bub pauses, building his teammates’ suspense, then shows the guys his new moves. Alex's grandfather was an usher at the Old Montreal Forum and used to tell Alex all kinds of exciting and magical stories about the old legends of hockey, and how they became the ghosts of the Canadiens. Now that his grandfather has passed away, Alex wants so much to get closer to his father by initiating him to the enchanted world he shared with his grandfather: the magic of the ghosts of the old legends. Alex and the Ghosts is a story of childhood magic and wonderment around a legendary hockey team, uniting the past and present, reaching out to the youthful hearts of sport fans of all ages. Nine-year old Turtle Thompson thinks his bug loving best friend Maddy is the coolest girl in the whole wide world. If only he had the guts to ask her to the Spring Fling Dance. Living in a beautiful house, surrounded by a vibrant garden, Mondo believes he has everything he needs - until one day the sun doesn't rise. Mondo's garden is plunged into a perpetual winter and his love for the place dies along with the plants that grew there. In desperation, he builds a flying machine and sets off on a surreal adventure, through the depths of time and space, on a quest to find the sun. A boy discovers a bizarre looking creature while out collecting bottle tops at the beach. Realizing it is lost, he tries to find out who owns it or where it belongs, but is met with indifference from everyone else, who barely notice its presence, each unwilling to entertain this uninvited interruption to their day to day lives. For reasons he doesn not explain, the boy empathises with the creature, and sets out to find a 'place' for it. When seven year-old Anna McKenzie learns that her wicked stepmother plans to send her little dog Toby to the pound and her off to boarding school she does the unexpected. Desperate to contact her Grandma, she writes a letter, ties it to a helium filled birthday balloon, then sets it free from a third-story attic window. Soon the balloon, with the letter still attached is discovered floating in a pond by ten year-old Gage Williams. Alarmed by Anna's desperate message Gage summons his friends to their floating clubhouse on the pond. With only a handful of clues the young detectives set out on the adventure of their lives hoping to find Anna and reunite her with her Grandma. Dead ends, false leads, mistaken identities, and near misses energize this high octane, kid driven adventure that the entire family will enjoy. From the creator of the award winning film “Garbage! The Revolution Starts at Home” comes a shocking tale about the products we use to clean our homes and bodies. “Chemerical” explores the life cycle of everyday householder cleaners and hygiene products to prove that, thanks to our clean obsession, we are drowning in sea of toxicity. The film is at once humorous, as we watch the Goode family try to turn a new leaf by creating and living in a toxic free home, and informative, as director Andrew Nisker works with many experts to give audiences the tools and inspiration to live toxic free. Chemerical tackles the “toxic debate” in a truly informative and entertaining way, not only by raising awareness, but most importantly, by providing simple solutions. This multi award winning film with an internationally acclaimed cast (Juliet Stevenson (Bend it Like Beckham, Truly, Madly, Deeply, Dakota Blue Richards (The Golden Compass), David Haig (The Thin Blue Line, 4 Weddings and a Funeral), follows the story of young teen April whose troubled life began in a dustbin - a new born baby, abandoned and alone in an industrial bin behind a pizza parlour. On the morning of her fourteenth birthday April has an argument with her foster mother, Marion and leaves the house determined to find out where she really comes from, who she really is and maybe, just maybe, find her real mother. Telling no-one what she's up to or where she's going, April skips school and begins the search she's dreamed about all her life. It's a blur of social workers, children's homes and special schools as April revisits and recalls the key scenes of her fragmented past. It's a painful journey, sometimes frightening but there's also friendship and love and laughter. The two things engineer Johnny Gray (Buster Keaton) loves most in the world are his Southern belle sweetheart and his locomotive. When Northern spies steal the latter, the intrepid Confederate single-handedly takes on the entire Union army in order to get it back. Against a backdrop of magnificently photographed Civil War battle scenes unfolds one of the great chases in movie history. 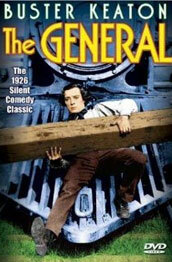 Set almost entirely aboard moving trains, Keaton's The General is physical comedy refined to elegant perfection and widely considered to be the actor-director's greatest film. Join us for a special presentation of this classic silent era film, in partnership with Cantos Music Foundation. Cantos will be supplying a full live soundtrack to the film using some of their incredible collection of instruments including keyboards, percussion, theramins and other electronic instruments! Don't miss this rare opportunity to see this classic movie they way it was originally meant to be viewed! Click the link below to learn more about this special screening. Once upon a time, there was a magic tree – a huge, old oak-tree. But people not aware of its power cut it off and made hundreds of objects out of its wood. Still, the wood kept the magic power and the objects had made strange things started to happen, when they got into shops in many different places around the world. A red chair made out of the magic oak gets into one home. It can walk, fight and fulfill the wishes of everyone who is sitting on it. An accidentally expressed wish starts a series of incredible events. A contemporary adventure film with quick tempo of action and a story full of magic forces for the entire family. A concerned mother turned filmmaker aims her camera at the high-stakes, high-pressure culture that has invaded our schools and our children’s lives, creating unhealthy, disengaged, unprepared and stressed-out youth. Race to Nowhere is a call to mobilize families, educators, and policy makers to challenge current assumptions on how to best prepare the youth of America to become healthy, bright, contributing and leading citizens. In a grassroots sensation already feeding a groundswell for change, hundreds of theaters, schools and organizations nationwide are hosting community screenings during a six month campaign to screen the film nationwide. Tens of thousands of people are coming together, using the film as the centerpiece for raising awareness, radically changing the national dialogue on education and galvanizing change. A family musical with heart, Rising Stars explores the sacrifices that come with fame in reality television-obsessed culture. Challenged with creating songs and music videos, three musical acts find more than their futures on the line when the competition gets fierce and their lives are caught on tape broadcast to the nation. 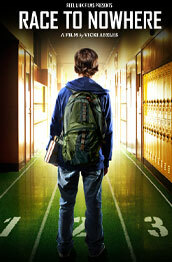 Egos clash and worlds collide as these teens find how far they will go to win the coveted prize and achieve stardom. We are thrilled to present Rising Stars as our closing film for the festival, and invite you and your entire family to come out and see the movie, and meet some special guests flying in for the screening! Click the link below to learn more about this special screening. The pure confidence of childhood, that gives us the courage to believe in things that later seem to be impossible, is the subject of Justin Ho’s short film, which will be screened before Rising Stars at the Reel Fun Closing Gala on Feb 27. Summer Eleven is a heartwarming story of summer beginning and eleven year old Vanessa wondering if she and her friends will be able to maintain their bond past elementary school. It becomes clear that even though the usual childhood pleasures of summer are there – ice cream trucks, backyard camping, impromptu yard soccer with boys (gasp!) – there is also the specter of terrible adult difficulties in their respective families. With grace, tears, laughter and some shock – our four young heroines make their way through summer to the much dreaded, but inevitable, middle school.